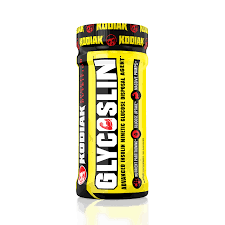 Glucose and nutrient partitioning supplement that increases the bodies natural ability to deliver nutrients to the muscle and support healthy blood glucose levels. Ensures your body uses carbohydrates to its best ability, whilst blocking the storage of fat by encouraging glycogen formation from carbohydrates rather than fats. Reduces blood plasma glucose, increase nutrient partitioning capacity of myocytes, and support healthy blood glucose metabolism. Take it no later than 60 minutes after a high carb meal, and no earlier than 30 minutes before. 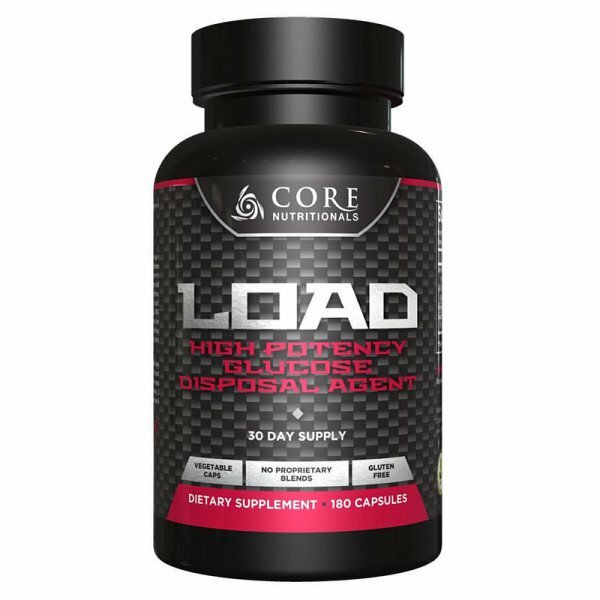 Meals that contain 30 to 50 grams of carbohydrates, will require you to take 3 capsules of Core Nutritionals LOAD. 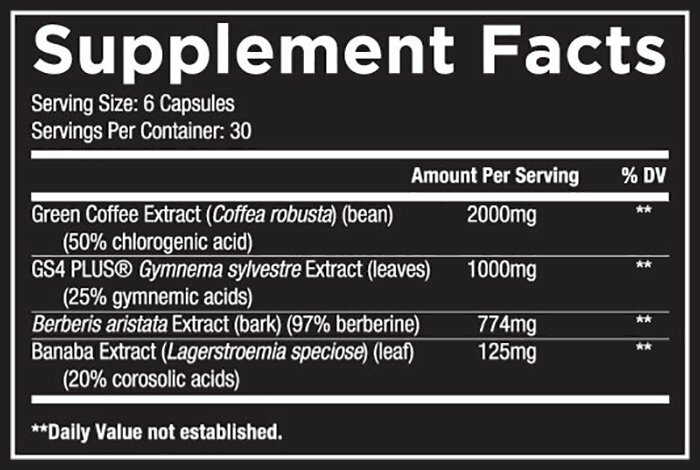 Meals that contain 60 to 100 grams of carbohydrates, will require you to take 6 capsules of Core Nutritionals LOAD. Due to the ingredients and the matrix behind the LOAD, it will begin to work straight away. When taking with high carb meal, during and post training you should notice maximised pumps and vascularity, post workout you should notice advanced muscular recovery and reduction of muscular soreness due to the muscle being pumped with nutrients.